Lincoln Town Car 120" 8pas. Lincoln Town Car 120" 8pas. Lincoln Excalibur 6-pas. Current rate for hiring Lincoln Town Car Signature 4.6L with driver starts at only 65 euros per hour ! 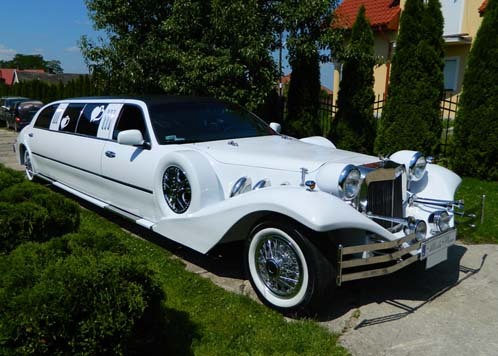 Complex limousine service (for example weddings, VIP Services) starts at only 260.00 euros per event ! Current rate for hiring Lincoln Town Car Executive 4.6L with driver starts at only 65 euros per hour ! Current rate for hiring Lincoln Town Car Cartier 4.6L luxury limousine with driver starts at only 90 euros per hour ! Complex limousine service (for example weddings, VIP Services) starts at only 360.00 euros per event ! 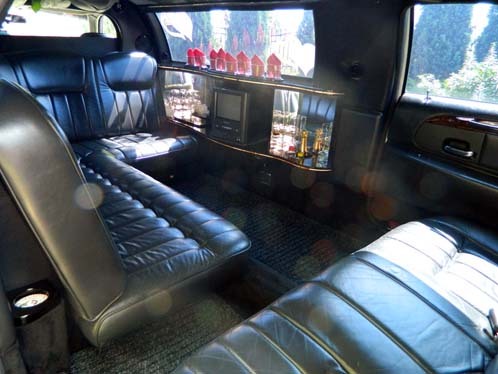 Current rate for hiring this 6 passengers limousine with driver starts at only 125 euros per hour ! 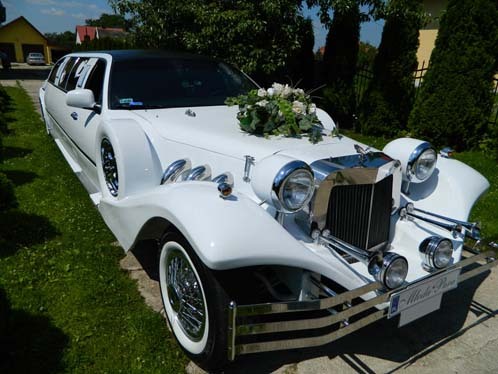 Complex limousine service (for example weddings, VIP Services) starts at only 500.00 euros per event ! This luxury 12 meter long nad 8 passengers limousine we rent for complex events including weddings, VIP trips and artistic events. Price for the whole event starts at only 650.00 euros ! Current rate for hiring this 6 passenger Dodge Grand Caravan SXT 3.8L with driver starts at only 65 euros per hour ! Complex service (for example weddings, VIP Services) starts at only 260.00 euros per event ! This luxury 9 meter long nad 8 passengers limousine we rent for complex events including weddings, VIP trips and artistic events. Price: 100 Euros/h, or for the whole event starts at only 500.00 euros ! This luxury 9.5 meter long nad 8 passengers limousine we rent for complex events including weddings, VIP trips and artistic events. Price: 100 Euros/h, or for the whole event starts at only 500.00 euros ! This retro style 9 meter long nad 6 passengers limousine we rent for complex events including weddings, VIP trips and artistic events. Price: 150 Euros/h, or for the whole event starts at only 750.00 euros ! 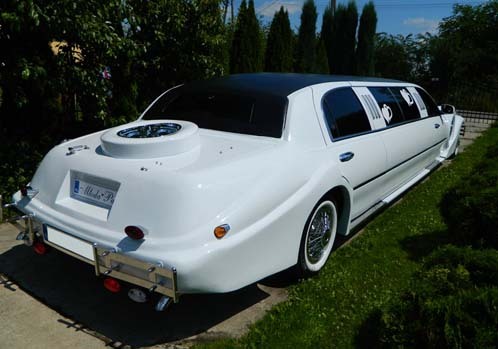 This is the only retro style limousine in the whole region ! This 12 meter long nad 12 passengers limousine we rent for complex events including weddings, VIP trips and artistic events. Price: 150 Euros/h, or for the whole event starts at only 750.00 euros ! This is the only such long SUV limousine in the whole region !